1. 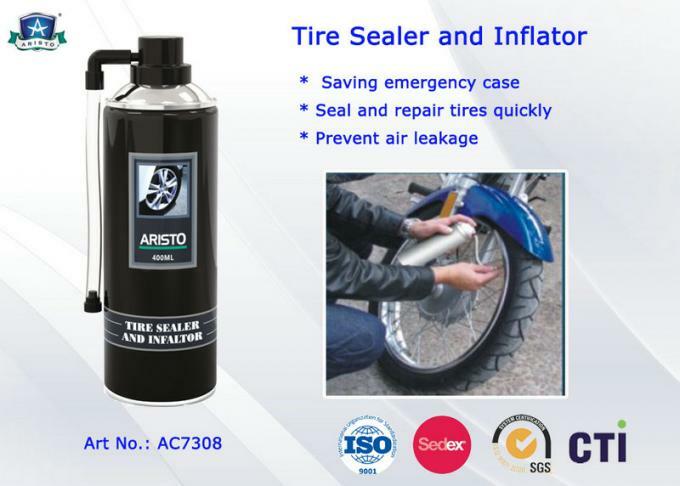 Aristo Tire Sealer & Inflator is used for vacuum bag of bicycles, motorcycles,other vehicles. 2. It is easy using, no need to dismantle or change tire when it is punctured,spray it into the tire directly. 3. 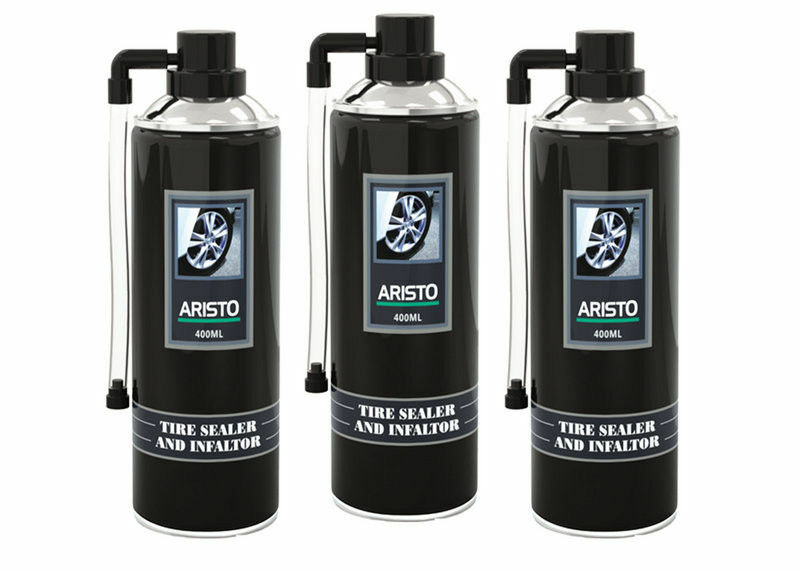 Tire sealer & inflator, without corrosion or damage to the tire, can seal automatically and quickly to prevent the air leakage to prolong the shelf life of the tire with good anti-aging effect. 2. Just one step procedure of tyre bumping and repairing is finished in seconds. 3. Non-toxic and odorless.No corrosion and no damage to the tire. when running in high speed. 5. Widely applied in the auto manufacturing.